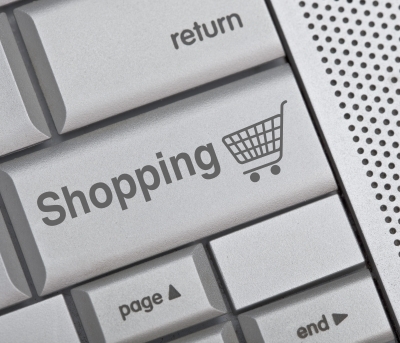 Your Own eCommerce or eBay: Which Can Be More Successful? Home » Make Money Online » Your Own eCommerce or eBay: Which Can Be More Successful? Many people around the globe try their hand at selling online. While some have had a small measure of success, others have built large enterprising businesses. Two of the most common methods are owning your own eCommerce website or using the power of eBay to help you become successful. There are several good and bad things about each that nearly cancel themselves out leaving the choice entirely up to user preference. What are some comparisons that you have to face with using each of these methods? To host your own eCommerce website, you need to find a web-hosting provider and purchase the domain name. While it only costs $10 to $15 per year for the domain, the hosting company could set you back to just over $100 per year depending on the bells-and-whistles you wish to add. Currently, starting a business on eBay requires a monthly fee of $19.95 per month or $191.40 if you pay for the year. If you pay this fee monthly, you wind up paying eBay $239.40 for a 12 month stretch of time. This means that eBay is much more expensive than it would be to start your own eCommerce store using a web-hosting provider. An item that is listed on eBay is subject to a specific fee. If you sign up for a basic store, you get 150 listings for free. However, you will be posting more than that if you want to be successful. Each time you put an item up after that allotment, you can be faced with up to $0.30 per item. Listing an item on your own eCommerce website doesn’t cost you anything but time. As you own the domain and hosting, you can place as many items as you want for sale. There are no maximums and you have room for continued growth without investing another dime for fees. When you sell an item on eBay, you are charged a fee. This fee is dependent on the item you sold as each item is determined differently. If you sold a computer hard drive, this fee is only 4-percent of the total sale. If it was a shirt, the fee is 9-percent. This isn’t counting the processing fees that are charged for using PayPal as your payment method. When you sell an item from your own eCommerce store, there are no fees for the item. You can choose your own payment method and not have to worry about payment fees. However, credit and debit card processing will cost you something from a company. As PayPal is one of the most popular methods, it is used by many eCommerce websites. Selling items on eBay can provide you with a great deal of coverage. Millions of users access the site on a daily basis looking for random items. Search engines such as Google crawl the pages of eBay regularly to help those looking for specific items find them on the first page of the results. Using eBay also gives you easy to follow methods of marketing your store to improve your success. With your own eCommerce store, all of the optimization work is up to you. You have to perform your own methods of improvement and commit to hours’ worth of research and development in order to allow potential buyers to find your store. Although it is possible, you’re far less likely to gain the attention of potential customers until your store builds up inventory and popularity. Although eBay offers a few analytical tools that can help you develop a strong seller’s account, tools offered to eCommerce sites are far superior. Between modules and plugins you can install for tracking user information to the access of the website reports offered in Google Analytics, you can virtually see what attracts your customers more. Although it is far cheaper to start an eCommerce website over eBay, there is more immediate marketability using the latter. The SEO part of a website is already built for you in eBay. It just costs you quite a bit of money in fees in order to operate the business. Which would you prefer: a website that requires a lot of work in order to get started to the point of not seeing any real sales for several months, or spending a great deal of extra money in order to make sales inside the first week? you are wright ebay is much expensive then to have your own web store. actually ebay atkes 10% from us for each transaction. eBay is really expensive, but you can find a lot of users there, who are potential customers! Basically I use eBay for the large audience it has. First, thanks to Eric for sharing this with the BizSugar community. I’m assuming in your scenario we’re using some kind of free WordPress plugin or other free tool to create our ecommerce store because either having an ecommerce store designed or using a store building tool like Volusion or Shopify would involve additional costs. Also, I think you cannot underestimate the time (and possible money) involved in properly optimizing and promoting your independent ecommerce store. I’m wondering what your general recommendations would be for marketing an independent ecommerce site. It would be great if you could respond in the comment section of the BizSugar community so that all our members could benefit from the information. thanks so much for your feedback here and for your visit! My pleasure to share this post with the BizSugar community. I like to use eBay. I am new with wordpress and starting my own online store would cost a lot more money & time to market than eBay. I have been selling on eBay for a few months now and I love it. Finding the products that are in demand and selling them quickly is the key to being successful on eBay.